When you’re young, you’ve got a lot of advantages. For one, you’ve got time on your side. You could be 30 years or more away from retirement, which means that any bumps in the road that you might experience will likely be inconsequential once you’ve retired. But as you get older, time gets tighter, and your margin for error starts to go way down. If you’re over the age of 50, here are a few things that you should have on your financial To-Do list. First, make sure your financial plan is in place. Age 50 is an ideal age to look at where you are, and figure out where you need to be. Have any of your goals changed over the last 20 years? Are you making more money now than you thought you would? Or less? Maybe you’ve got grandchildren now, or maybe your own kids have moved somewhere and you’d like to be closer to them. Whatever your situation, your financial plan should reflect your most recent goals. And right now is a great time to determine if you need to make any adjustments. Next, you should make sure your parents are in good shape. If you’re fortunate enough to still have your parents in the picture, what better time than now to make sure they’re take care of? If they’ve already made plans for themselves well in advance, that’s great. If not, it’s a good idea to sit down with them and make sure you get something more concrete in place. Third, you should start thinking about your own estate planning. At age 50, it’s very likely that your beneficiary designations need to be updated. 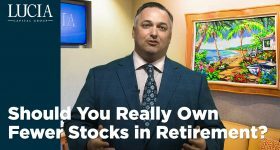 You need to make sure that your retirement benefits, life insurance, investment accounts and other assets are all going where you want them to go. 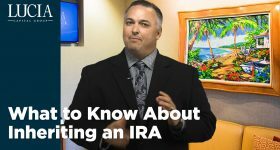 And if you’re remarried, you should check that your ex-spouse is not receiving anything you don’t want them to, like an old 401(k) that you never rolled over. If your kids are grown and responsible, you may want to include them as beneficiaries as well. Fourth, be sure you’re taking advantage of the “catch-up” provisions. 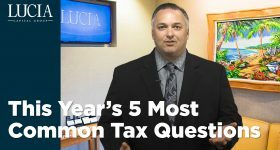 The IRS says that once you reach age 50, you can contribute more to your company retirement plan and to your IRAs. Those age 50 and older can make an extra $6,000 per year in catch-up contributions to their 401(k), 403(b), 457 or SARSEP plans. In addition to that, you can also make an extra $1,000 in catch-up contributions to your Traditional or Roth IRA. 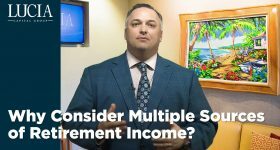 These extra amounts can really add up between now and when you retire. Finally, you should tackle any debt issues you might have. When you were younger, you may have used debt to your advantage to accumulate certain things or to free up cash for other investments. But now, it’s probably a good idea to work on paying it down. If you reduce or eliminate your debt right now, you could potentially take a lot of pressure off of your retirement savings once you’re no longer getting a steady paycheck. Hey, you’ve reached age 50, there’s reason to celebrate! And while taking care of these items might seem like a lot of work, it really doesn’t have to be. This is why you work with a team of financial advisors, people who think about these things every single day. Give us a call and let us review your goals and where your portfolio stands. It’s what we do – we’re here to help.